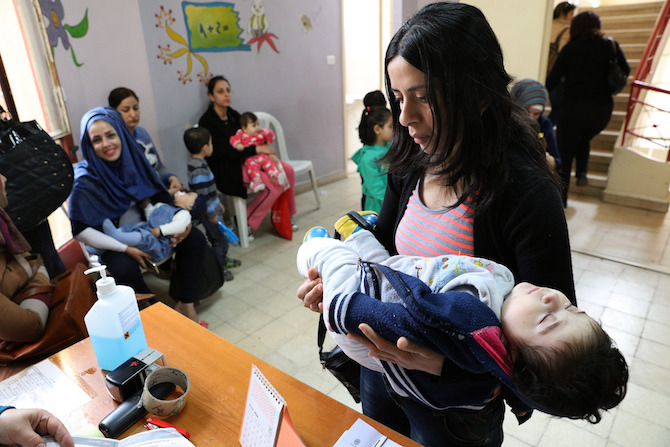 The need for effective primary healthcare today is stronger than ever in the Middle East and North Africa (MENA) region. Life expectancy has increased, with a consequently aging population. Chronic diseases, like heart disease and diabetic complications, have become a part of life. Café windows are foggier with increased pipe smoking among young adults and women. Polio has resurfaced in the Levant and Iraq. The MERS-CoV virus continues to plague the Gulf episodically. Political unrest has displaced millions into crowded and medically-underserved areas. All these challenges necessitate spreading awareness, thorough assessment, detection of asymptomatic and co-existing conditions, accurate diagnosis, appropriate and timely treatment, referral when necessary. All require strong primary care. Certainly, there has been considerable progress in some areas of primary care across large parts of the region. Family practice, a primary care specialisation that encompasses care delivery for all age groups, has made great strides forward, with practices proliferating in several parts of the region. Iran has integrated this form of primary care through major reforms that started in 2005. UNRWA has also been gradually introducing it since 2012. The development and adoption of care guidelines have also been pursued in several countries of MENA, including Jordan and Lebanon. Both quality assurance and provision of antenatal delivery have also improved. The current approach to strengthening primary care in health is, however, insufficient without a more personalised approach. The biggest health challenges the MENA region faces are complex. They are products of a matrix of daily decisions that people make. The underlying thought processes that guide these decisions, especially when they deviate from the optimum, differ depending on the health issue or population segment. The reasons for irregularity in check-ups for chronic diseases vary depending on whether one is a refugee or a local; employed or unemployed. Furthermore, the street-level perceptions about the risks of polio or the MERS-CoV virus dwarf those surrounding hypertension: MERS-CoV has triggered widespread fear, whereas hypertension – less remarked upon and consequently less treated – is instead a ‘silent killer’. The attitude of governments towards family practices may be different from that of recent medical graduates selecting their specialities and weighing out the pros and cons of family medicine against other options. The one-size-fits-all approach, whereby a major supply-side strategy or reform tackles the overarching development of the primary care sector, does not adequately take account for all the moving parts of the region’s health challenges. As such, policies could benefit from a behavioural economics approach integrated into the primary healthcare sector. Behavioural economics works upon the premise of adjusting policy to account for the psychological basis of human behaviour, when the behaviour deviates from otherwise ‘rational’ assumptions. The field suggests interventions that ‘nudge’ both patients and providers into better decision-making: Procrastination and immediate gratification explain why individuals may forgo routine check-ups and succumb to their sweet tooth, respectively. Provider salience and forgetfulness explain the suboptimal delivery of care for adults. Corresponding interventions have been adopted worldwide – providers are urged to focus on certain health priorities through financial and social rewards. Text messages remind patients to take their medications or renew their insurance. The MENA region could benefit from joining the behavioural economics-policy trend. A starting point for MENA could be by implementing policy around insights discovered elsewhere and building on existing data sources. Analyses from other contexts are adaptable. Available data in many MENA countries also allow for initial hypotheses generation. Low hanging fruits include examining providers’ current effort levels, working hours, and rates of absenteeism; exploring perceptions of pipe-smoking; and quantifying drug compliance rates for chronic diseases. Some of these questions already have answers and present seeds for the field’s development. Hypotheses could be further investigated via qualitative analyses, such as interviews with the different parties, or more rigorous quantitative analyses. Such answers would lay the ground for policies that could be truly transformational. The region’s primary care sector has been improving, but the next big push should take into account people’s thought processes and behaviours. Defogging MENA cafes and reducing diabetes from being a mere ‘expectation of adulthood’ require more than just service expansion and enhanced technical care. Efforts should be supplemented with policies that try to grapple with why patients actually make the choices that they do, and where and how providers could do better with the resources available. Zeina Ali Siam is a PhD candidate at Harvard University. Zeina’s work focuses on improving quality of care using a behavioural economics lens, with her research focusing on the contexts of Lebanon, the Palestinian Territories, Kenya and Cambodia. She has also worked with the WHO, the World Bank, and the Harvard FXB Center on health systems strengthening in the MENA region.